CPU transistors have gotten smaller, and server component power has dropped consistently with each new generation. But datacenters are still up against the proverbial wall with pressures on both power and cooling, as they attempt to maximize their use of datacenter floor space and compute resources. Compute density has increased dramatically over the last decade, pressuring datacenter infrastructure. Virtualization and system density drove rack-level power consumption up at the same time that platforms were trying to drive it down. To make a serious change in power and cooling profiles, datacenters (and vendors) need to re-think the servers that they are deploying and alter their datacenter strategies. Hyperscale and enterprise datacenters have become increasingly conscious of efficiency, ensuring the optimal amount of hardware resources are dialed-in to the specific needs of their workloads. For many workloads, density-optimized servers have evolved to deliver on the promise of OPEX savings (power/cooling, space) without sacrificing system performance. 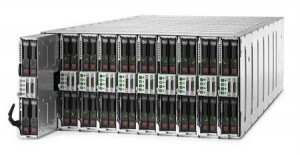 HP is expanding their density-optimized portfolio with the release of the Apollo 6000 System. 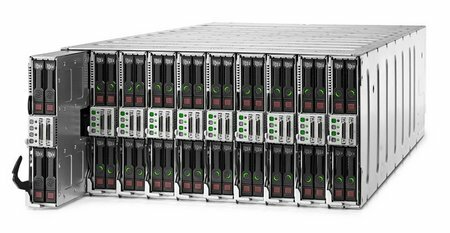 This new server is designed to address the needs of lightly-threaded HPC applications like Electronic Design Automation (EDA) and Monte Carlo Simulations (used for financial risk modeling and various engineering/scientific applications). The system offers high per-thread performance, robust network bandwidth, and rack-level shared infrastructure for efficiency.